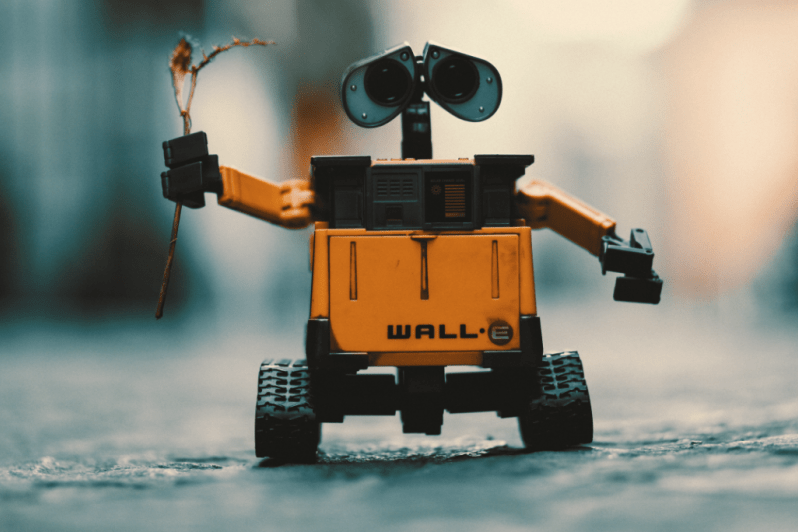 Robotics in Finance - What's all the hype? So what’s all the hype about? Grant Johnson, Chief Marketing Officer at Kofax, sat down recently with Russ Gould, Senior Director of Product Marketing, to talk about how robotic process automation is driving a new kind of digital revolution within enterprise companies. Read the highlights below. There’s been a lot of discussion around robotic process automation (RPA) lately. People are even calling it a revolution. Can you tell me how RPA is gaining traction with enterprises? RPA technology isn’t necessarily a new solution, but recent advancements coupled with the promise of internal efficiencies and cost savings are creating a kind of revolution. Some organizations will define success based on a reduction in the number of full-time staff executing manual, routine and repetitive data entry tasks. Others look at RPA as a very different kind of opportunity. For example, their business may be growing and they want to make their existing staff more productive without adding new employees. And cost savings isn’t the only motivation for adopting RPA solutions—it can even be a recruiting tool. The millennial generation wants to do work that matters and delivers value. Hiring them to do mind-numbing, manual work between twenty different systems on a daily basis isn’t very appealing, creating a retention and training issue for many organizations. The good news is that whether the motivation for adopting RPA is cost savings, productivity and growth or employee retention, the ROI is easy to calculate in advance and measure once implemented. How do robots work in different industries or functional areas of the business? At a high level, office work today operates much like the manufacturing industry did before automation. For decades, people performed tedious production work on the manufacturing floor until robots replaced them. In the office, workers still perform manual tasks every day like copying and pasting data between applications or logging into portals to input or retrieve information. This is the work that software robots are now automating across the board in terms of industries and job functions, whether customer-facing or back office. The banking and insurance industries are leading the marketplace in their embrace of RPA, as well as finance and accounting as a functional or departmental group. In finance, teams often work in systems like Microsoft Excel and then manually move journal entries from one system to an Excel spreadsheet. Robots can automate this kind of mundane cut-and-paste work and free up finance workers to use their decision-making and analytical skills for more valuable work. There is a little fear that artificial intelligence will replace the human workforce and everyone will be out of a job. But I hear customers saying RPA frees up knowledge workers to perform more value-added activities like selling more products or better serving customers. What’s your perspective? Those high-level benefits like growing the business and better engaging with customers are absolutely driving RPA implementations today. Replacing manual effort and reallocating an employee’s time can deliver those benefits. Will a robot be my boss any time soon? No. What robots do today is automate manual steps like the copy-and-paste example I just gave from a journal entry to Excel. They’re not yet doing a lot of thinking on their own, but artificial intelligence is the next frontier. Where are companies today on the robotic process automation journey? RPA currently has about 10 percent penetration, but analysts predict that easily 40 percent of organizations will be leveraging it within the next three to four years. We’ve seen companies primarily implement RPA in two ways. In an enterprise-wide initiative, they pick a single area, do a proof of concept, then expand cross-functionally. Other organizations start using RPA in one business group and the use cases grow organically. One customer who implemented RPA years ago recently told me their use of robots has mushroomed to an equivalent headcount of 780. I think this really illustrates the dramatic and significant productivity gains that can be achieved with intelligent software robots. I love that concept. Robots don’t need to take breaks, you don’t have to feed them and they don’t complain too often as long as they’re programmed correctly. What are some hidden benefits companies are realizing with RPA? Let’s start with one hundred percent accuracy. Robots run 24/7, don’t make mistakes, and the cost savings accrue every time the robot performs a task. Another hidden benefit is in allocating more of a highly-paid worker’s time to “thinking” work instead of manual work. For example, a treasury analyst might spend 20 to 30 percent of her day copying and pasting data instead of managing the organization’s cash flow. When you free that worker up to do her “real” job, her employee satisfaction increases as well as the value delivered to the business. Those benefits sound great, but some companies wonder if they’ll have to rip and replace their current systems to implement RPA. RPA doesn’t require a rip and replace or re-engineering of processes. It can be implemented successfully around current systems to make productivity improvements without having to touch or change the system. This is particularly important with legacy systems that are often inflexible and difficult to replace. Even better, implementation of RPA is fast with no coding required, providing an immediate ROI that makes it easier to justify the project. How does robotic process automation fit into a larger digital transformation strategy? Many organizations wonder if RPA is redundant if they are already using business process management (BPM) software. The answer is absolutely not. The two systems are very complementary in that RPA can automate steps in customized workflows or smaller processes that BPM won’t touch without sufficient volume or scale. In some of the areas we’ve talked about, such as financial process automation or even content services, companies can deploy RPA very seamlessly as a part of an enterprise-wide approach to digital transformation.